According to popular legend, Tibetan Bells of Luck symbolize good luck, rebirth, and never-ending love. 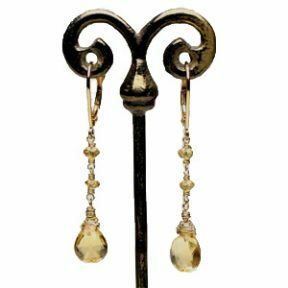 If nothing else, these “lucky” Citrine earrings are sure to bring style and grace to all who wear them. They are the perfect match to our citrine drop necklace. 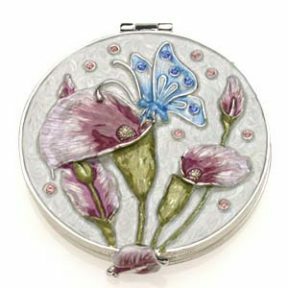 Who wouldn’t feel beautiful after peering into this Butterfly and Calla Lily Compact with sparkling Swarovski crystals? Double-mirrored compact with leaf designed tabs and magnetic claps. Elaborate etching on trim and base. A must have for every girlie-girl! Imported. 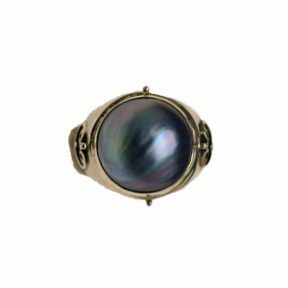 The beauty and mystery of an intergalactic landscape is captured in this silver and blue pearl ring. Silver oxidized band. Imported. 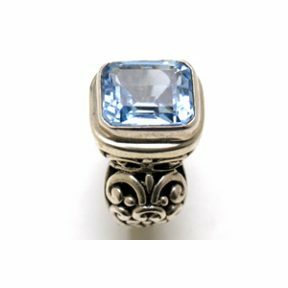 Dress to impress with this Icy Blue Topaz with vintage design ring features a step bezel and swirling embellishments. These stunning wire warrior sculptures are wound and assembled by hand so each one is unique. Each warrior has the unmistakable Anime/Mecha look with incredibly intricate detailing. 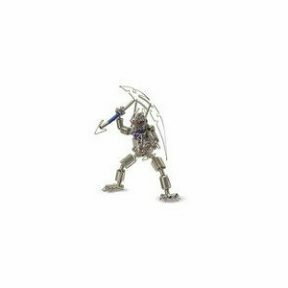 They stand on their own approximately 7-9 inches tall (depending on headgear) and can be posed and positioned to suit you. You’ll be amazed they are constructed entirely of simple wire! 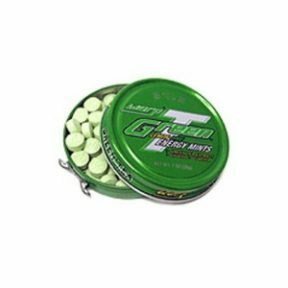 Experience the high octane boost of an energy drink in a refreshing breath mint. 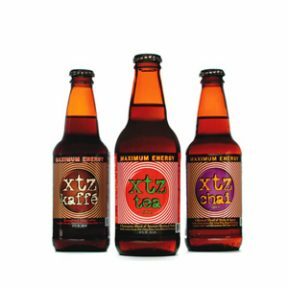 Includes Ginseng for increased physical endurance, Guarana for an instant energy boost and Ginkgo for increased mental alertness. 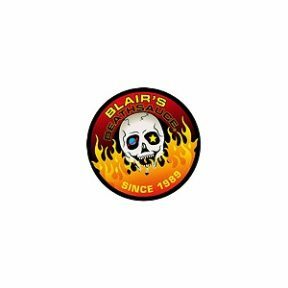 The dangling skulls should tell you what these sauces are about, but if you’re the adventurous type…we invite you to test your mettle with Blair’s Super Hot Sauce Variety Pack! These specialty hot sauces utilize the world’s hottest peppers including habeneros, jalapenos and cayenne chilies to name a few. Each comes with a collectible skull key chain, to be worn with pride if you survive this fiery rite of passage! Computers may have replaced the typewriter, but you can still own one for nostalgia sake! 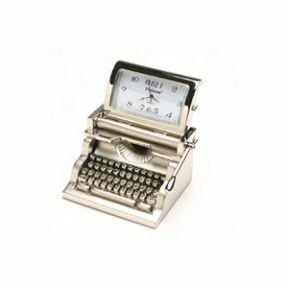 This desktop version of an antique typewriter features an easy-to-read clock with hour, minute and second hands. Battery operated (batteries included). Elaborate detailing distinguishes this gorgeous piece, but its beauty is only part of the allure. 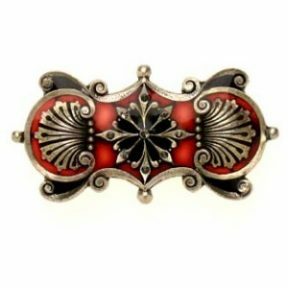 Handcrafted in France, this vintage-style brooch was created from a mold made in the early 1900’s. 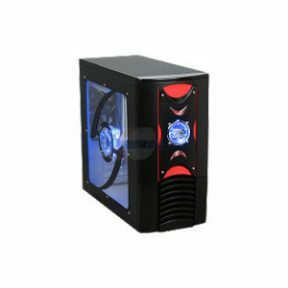 The Black Scorpio ATX case comes with a see-through side window, 80cm side panel fans and a beautiful metallic color front panel. This model comes with 2 x 80mm case fans to improve cooling, also has excellent interior design for motherboard compatibility and specious HD bays. It also has 2 front USB 2.0 connectors. A crunchy chocolate biscuit stick dipped in dark chocolate for those who prefer the slightly less sweet richness that only dark chocolate can provide. Citrine bell drop necklace, reminiscent of Tibetans Bells of Luck. 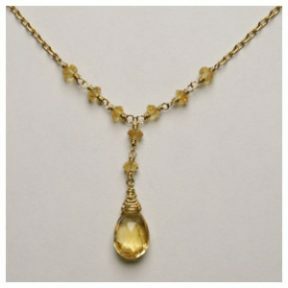 Beautifully wrapped at the stone’s tip and connects with Baby Citrine mingled within the gold filled chain. Spring ring clasp. XTZ tea is a synergistic blend of ancient mystical herbs guareenteed to transform “the tired” to “the wired” in just minutes! this caffienated drink combines real citrus flavor tea with energy! Loaded with Ginseng, Guarana, Mate’, Kava Kava, Kola Nut, Ginko Biloba, Botanical Herbs, Black & Green Tea Extracts this tea will kick any half-dead brain into overdrive! 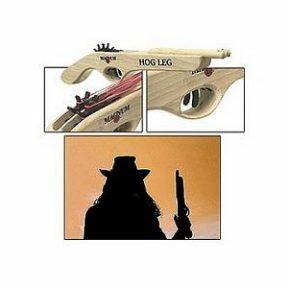 These rubberband guns are cut from unfinished poplar hardwood and have durable, ratcheting, repeater mechanisms. They load quickly, fire even faster and are remarkably accurate. Each gun includes a rubberband sampler pack but be sure to order a refill so you’ll always have ample ammo. Get all the warmth, charm and beauty of candlelight without a flame. 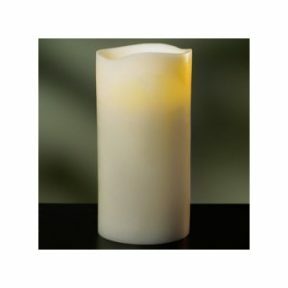 Flameless candles are a great alternative to traditional candlelight. They’re battery powered and use a patent pending LED bulb that simulates the flicker of candlelight for up 25 hours on a set of batteries. Perfect for decoration, romantic dinners or creating the perfect atmosphere anywhere! Requires 2 AA batteries. 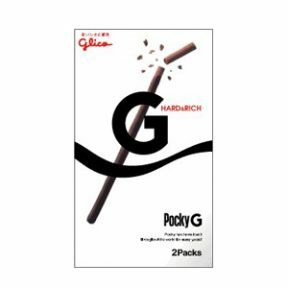 Set your mouth aflame with the hot snacks that challenge even the toughest palates. 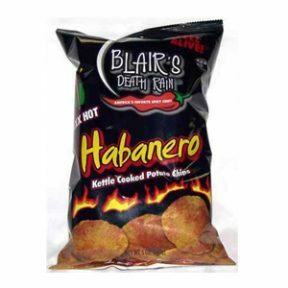 Laced with Red Savina Habanero Pepper, these savory and spicy potato chips are big on flavor.